The Senior Men’s race was won by Mark Pollard (Inverclyde) after a good battle with Robert Gilroy (Cambuslang) and Cameron Wilson (Kilmarnock) who took the bronze medal in third place. In the Senior Ladies event Kara Tate (Kilmarnock) finished strongly to take a close victory from Lisa Finlay (Dumfries) with Carole Setchel (Shettleston) taking third place. There were also age group races for both boys and girls and the winners in each event were: Boys Under 11 Elliot Bain (East Kilbride AC), Under 13 Scott Sprang (Ayr Seaforth), Under 15 Ryan Gray (Inverclyde) & Under 17 Men Aidan Gilbride (East Kilbride AC). Girls Under 11 Alisha Sivell (Kilbarchan) , Under 13 Emily Crusher (Giffnock North), Under 15 Nikki Miller (Giffnock North) & Under 17 Women Nicole Scott. Jim Orr (Cambuslang) – Thanks to everyone involved at East Kilbride Athletic Club today for their hard work and effort in putting together an excellent day’s cross country racing. Well done folks! Colin Partridge (Lothian) – Really enjoyed the race today. Mud glorious mud! Neil Walker (Kilmarnock) – Great event today guys, good turnout, very tough course! 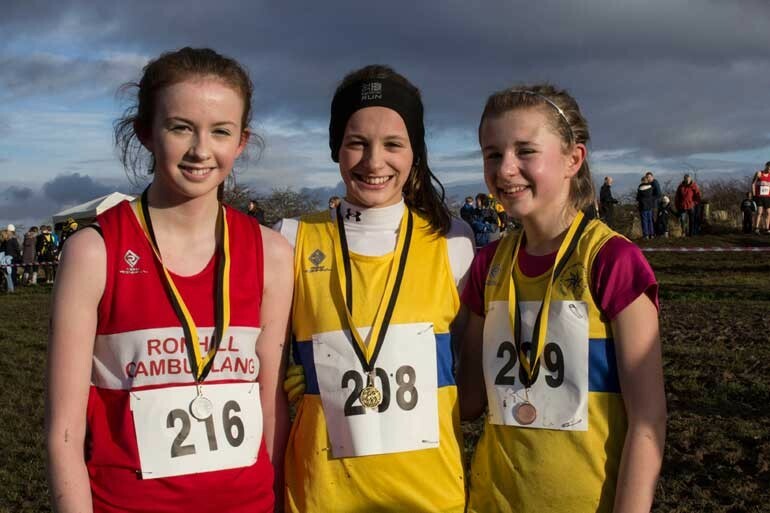 George Pettit (Cambuslang) – Thats what you call a cross country course, Great event will be back next year. Alan Sprang (Ayr Seaforth) – Congratulations on a well run and great event. It was good to see a traditional cross country course for once. Pity there’s no more like it. I hope you will run the event again. With such positive feedback the club will be delighted to liaise with the East Kilbride Community Trust regarding making this an annual feature in both the sporting calendars of the town of East Kilbride and Scottish Athletics.